You have the knack for writing, your creativity flourishes and you practically possess superb flair and talent when it comes to words. This makes you a qualified writer online. However, being qualified does not necessarily mean that you’ll land a big writing deal and earn enough money that will allow you to enjoy working at the comfort of your home. Creating a successful writing career online does not happen overnight. 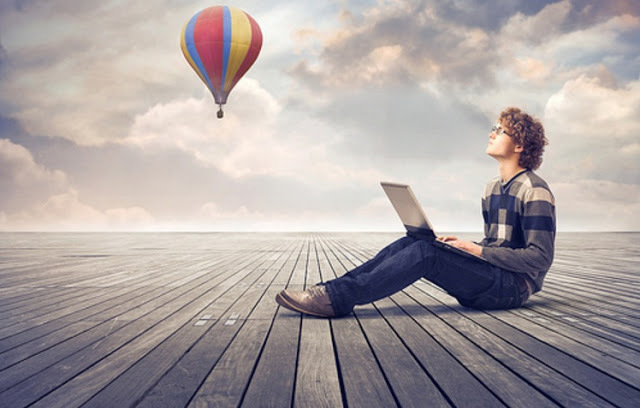 It takes not only skills and experience but many other factors that will help you get, maintain, and achieve a notable career in writing freelance in the internet. Again, success doesn’t come overnight. Here are some of the tips and tricks of the trade you can follow to become a successful freelance writer online. Knowing the basics in writing is not enough to get clients and become a successful ghostwriter or freelance writer. One should be aware of the current styles in writing. Writing for fiction is different from news writing and blogging. The tone and the approach in writing differs on the platform where the article is about to be used. Being good in one of these styles will probably land you in a good writing job online, but being versatile and well-versed with other styles opens more opportunities for you when it comes to writing. A prepaid internet USB may be useful when starting out a career in writing online. However, It would be better to have a faster internet connection to be able to work more efficiently. The faster you finish a project, the more time you’ll have to accommodate other gigs or to rest and spend time with the family. Having the tools to maintain a job online is not enough. You need to have the right and most suitable tools to be a successful online freelancer. Bogus clients do exist online. Before starting out with a project, ensure that you have the necessary documents or paper work that can be used and traced back in case of issues and discrepancies during the course of the project. A freelancer should also do a background check on their clients to make sure that they will be indeed be paid for the services that they will provide. Most freelancing websites like Upwork and Freelancer includes a Verified status for their contractors which give freelancers an idea of the amount of risk they are putting into the projects that they engage online. Internet speed is very valuable if you want to meet and beat deadlines. Work smart to work fast. Avoid going around the bush and be sure that you are using your time effectively online. Have a time tracker to see how much time you are wasting on your social media accounts. As an online freelancer, you have the luxury of staying at home or in a place where you are comfortable. There are many temptations around, thus keeping a tight discipline when it comes to the schedule of submissions of your projects is necessary. Create your brand. You might be working alone in the earlier stages of your writing career but you’ll eventually expand in the future. You can have your name as your brand or a brand name that has a catchy tune that will create a recall among your clients. However, it is important that clients should have a company to turn to in reference to the services that you offer. Having a brand name also makes it easier to advertise and market your company and services. Prioritize important projects over those that are not in a rush. Create a system that you can use to track your time spent in projects and a system to know which projects are up for submissions and which ones are nearing to their deadlines. You can have a notebook of sorts for starters, but an excel file would be more organized and easy to monitor. Experience and hard work are both necessary to achieve a lucrative freelance writing career. In due time, by following these basic tips, a fruitful career in writing is indeed within your grasp.